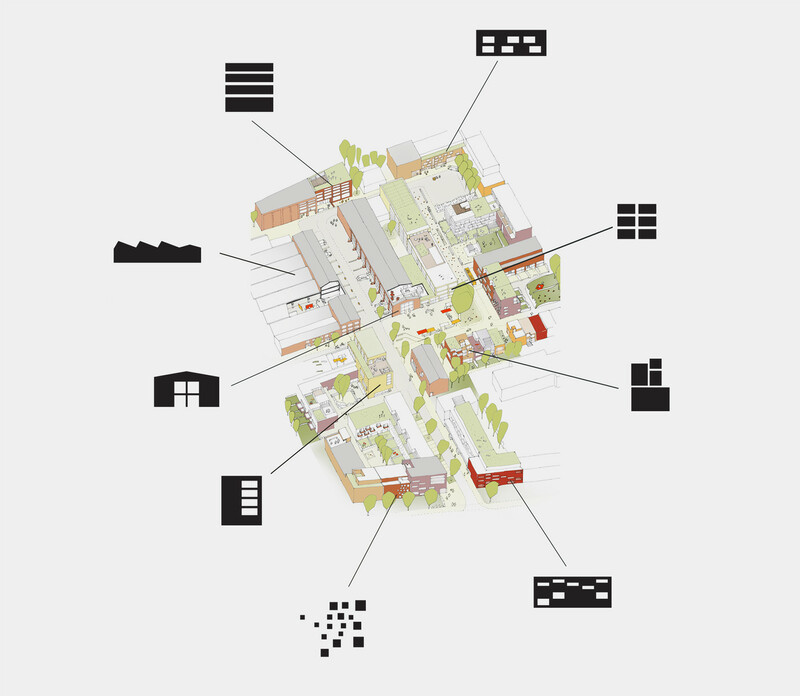 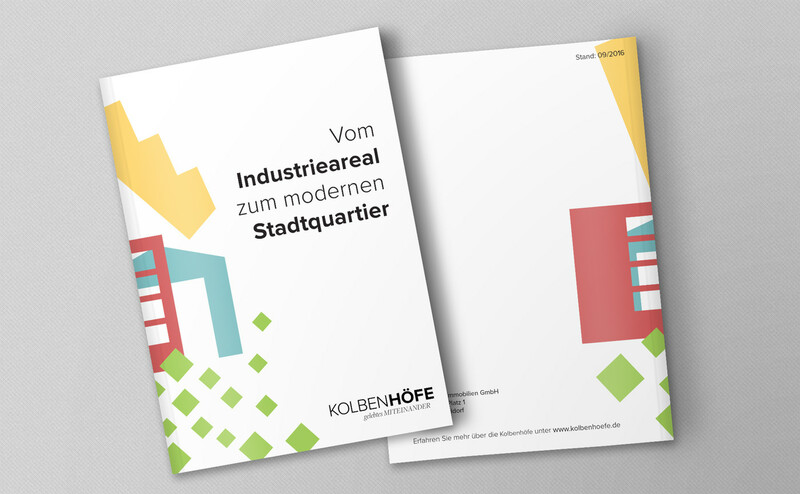 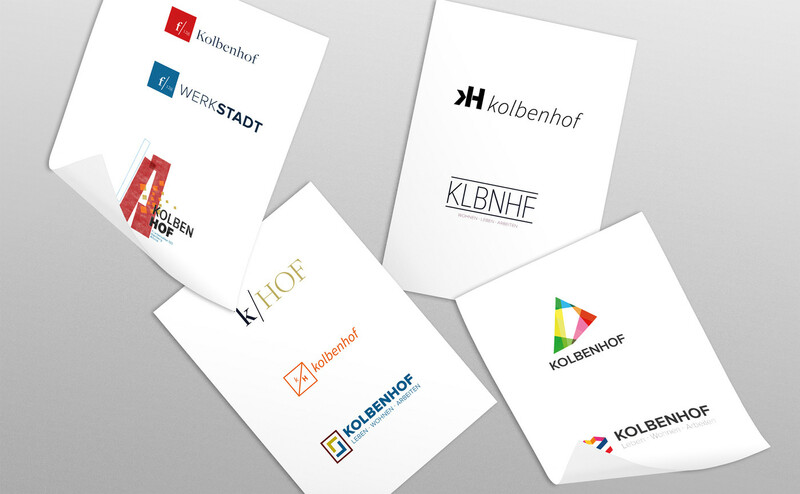 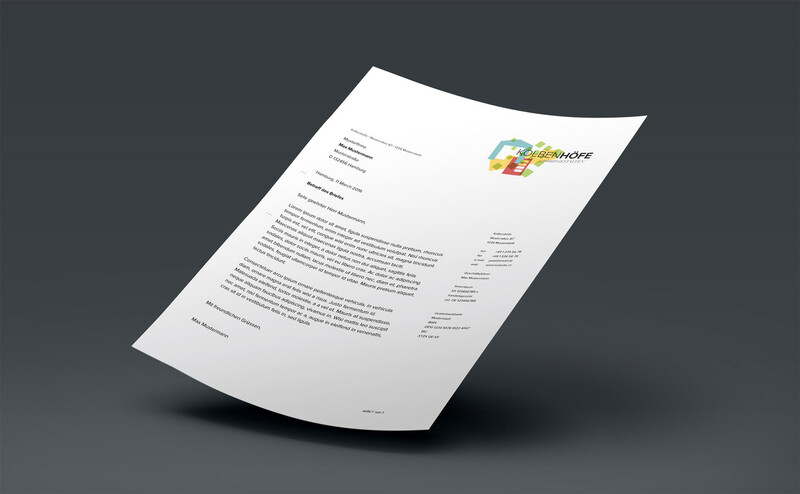 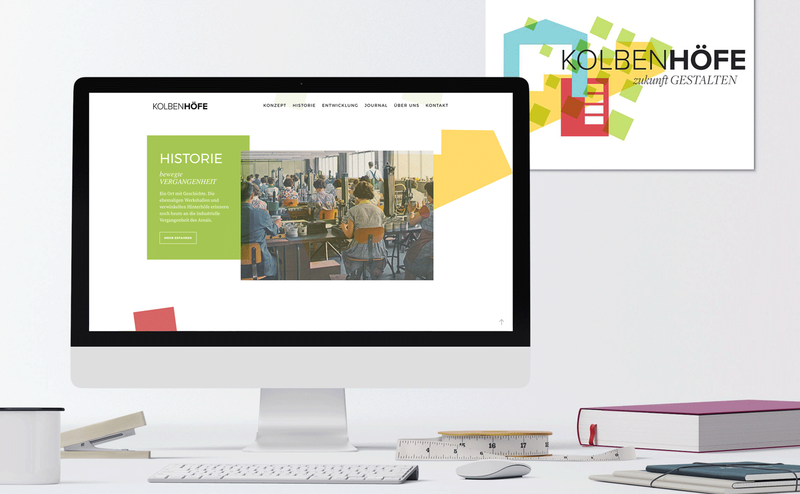 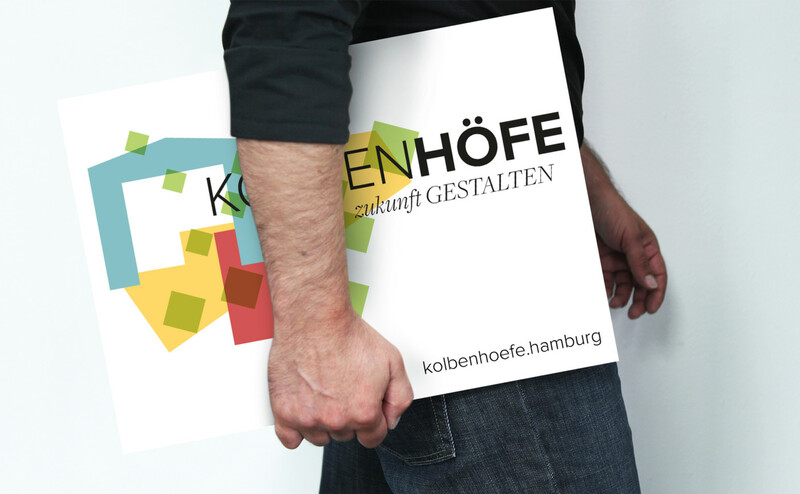 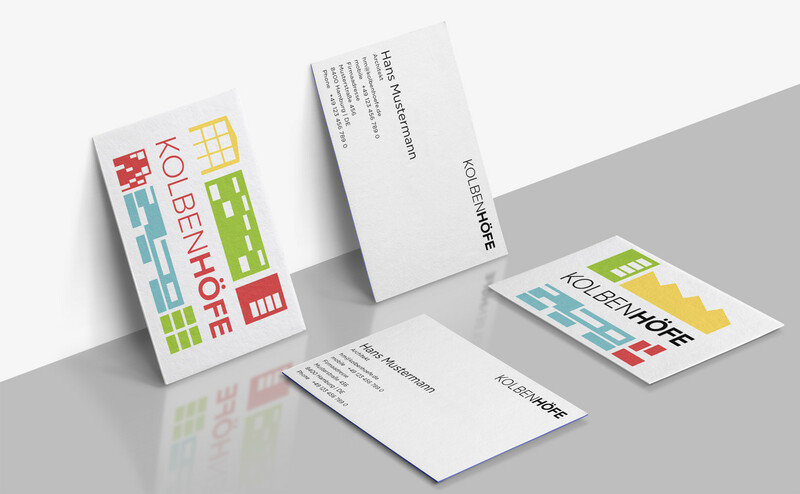 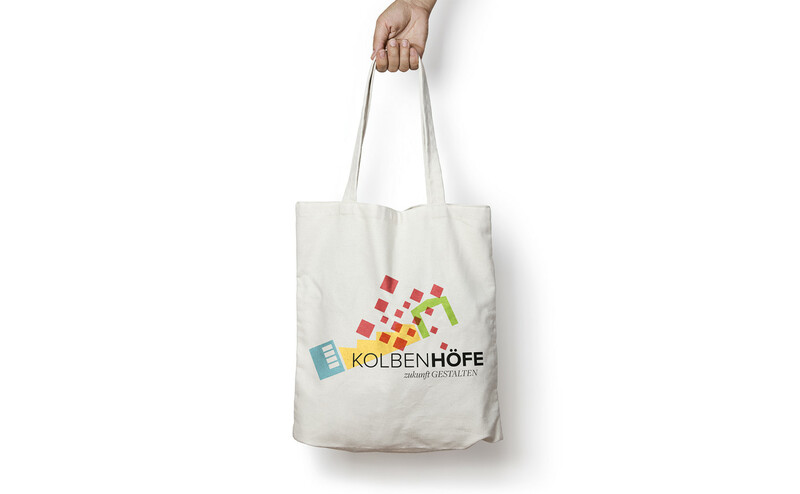 The Kolbenhöfe corporate design is a result of several different components coming together drawing a picture of the innovative district development project on the old industrial Kolbenschmidt-site. 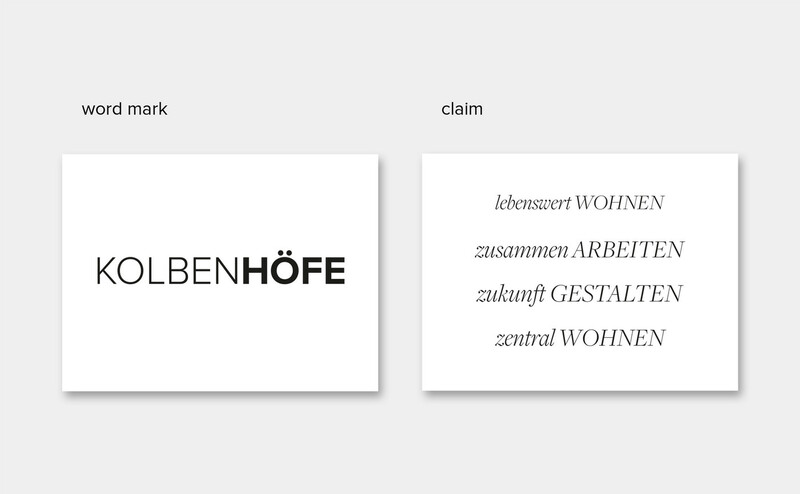 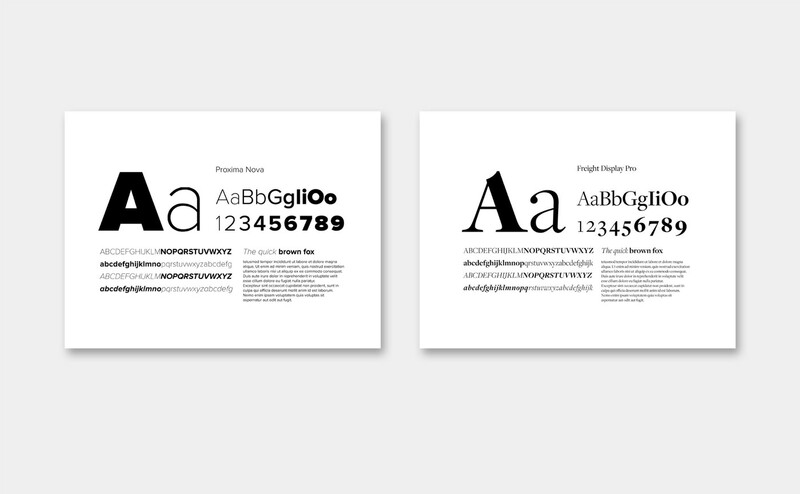 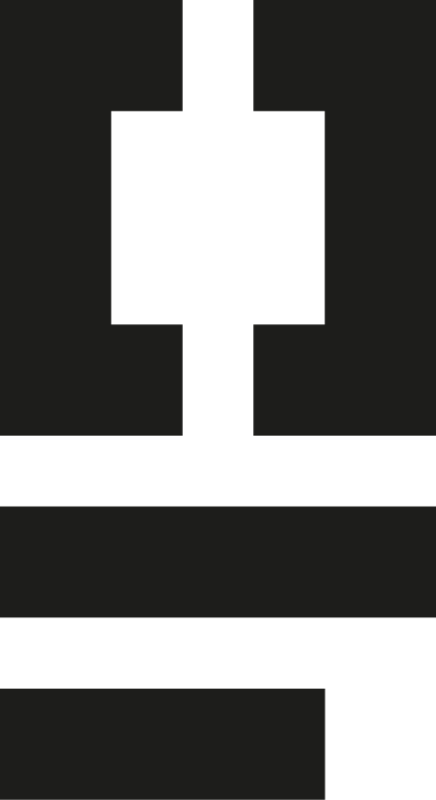  The fundamental component is the word mark with its claim. 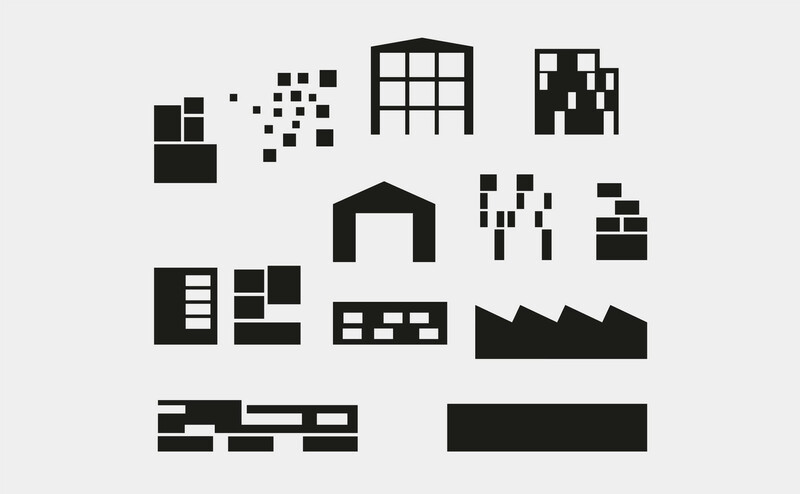 Around the wordmark a pattern made out of building parts can be arranged. 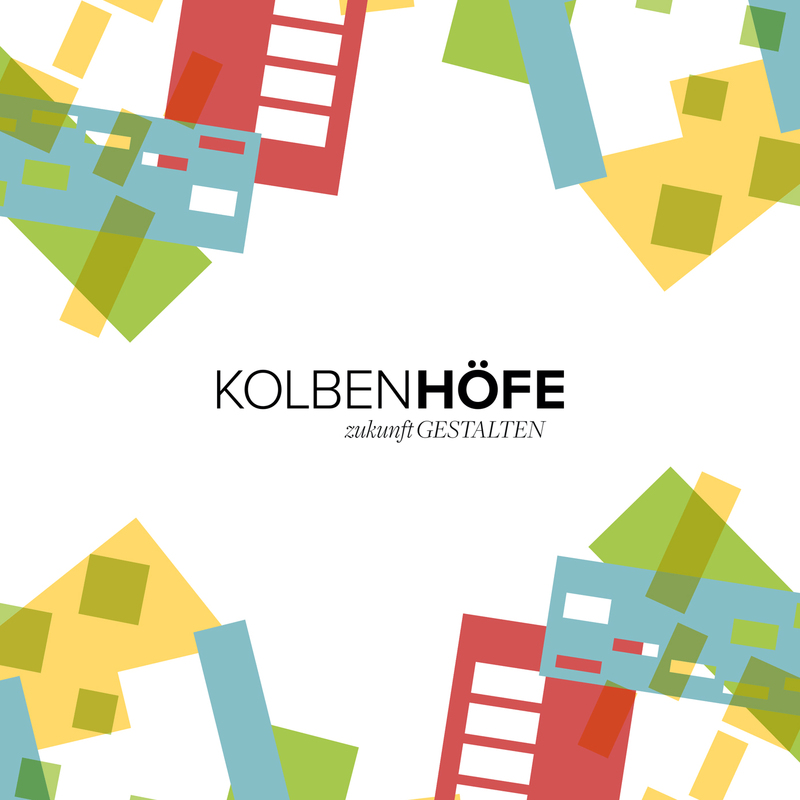 It highlights a vibrant and adaptable way of interaction between the residents and the small industries that the new Kolbenhöfe will provide. 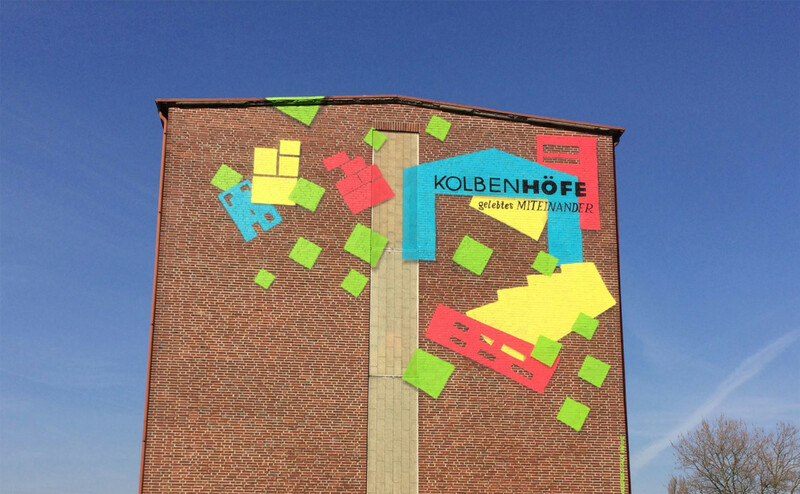 The constructs used are made out of simplified illustrations from the facades of the Kolbenhöfe buildings.